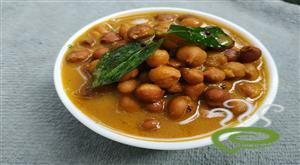 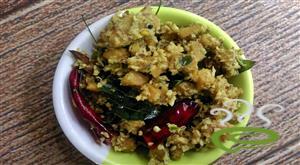 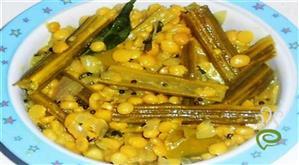 A very tasty and nutritious north indian dish that goes well with Chappathi, Poori, boiled rice, dosa, parotha etc. 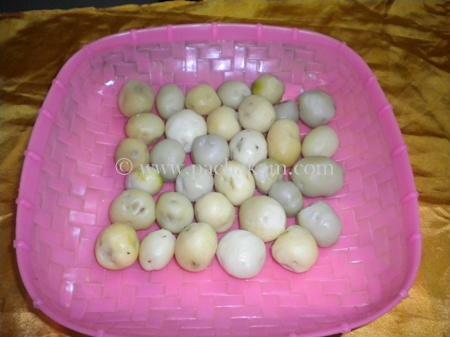 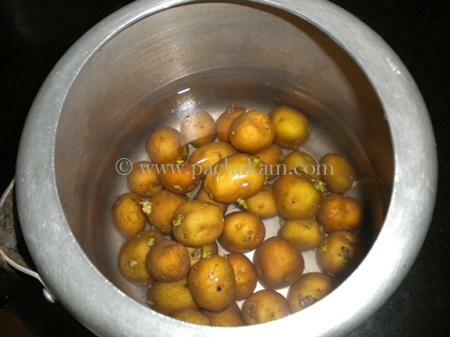 For preparing dum aaloo masala, first boil the potatoes in a cooker/vessel and remove its skin as shown in the below picture. 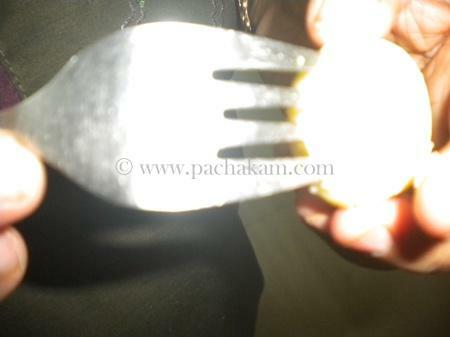 Make small holes in the boiled potatoes by using a fork as shown below. 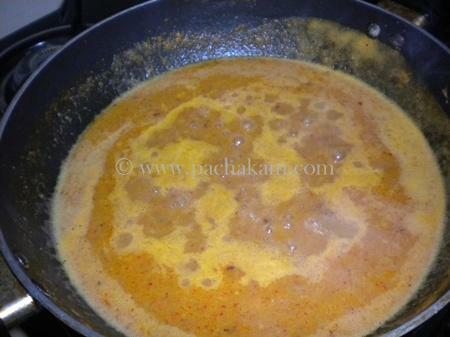 Heat the mix of chopped tomato, onion, ginger and garlic in some oil and when the colour of this mix turns into brown, remove it from the stove and allow to cool. 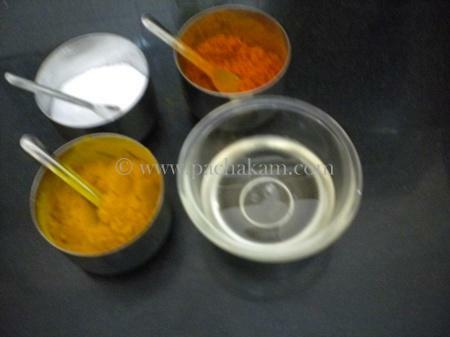 Then grind it along with red chilli powder and turmeric powder. 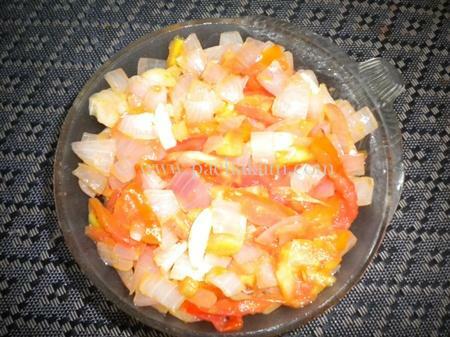 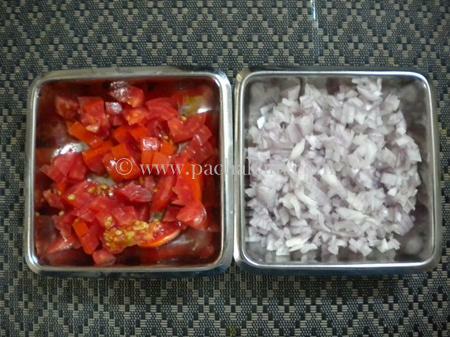 Heat a frying pan, add some oil and then put the paste of chopped onion mixture and saute well in low flame. 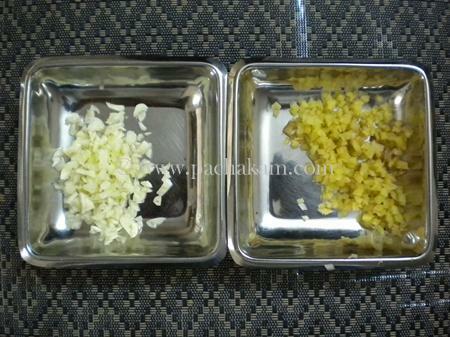 When the oil comes separately from this masala mix, add required salt and water as shown in the below picture. 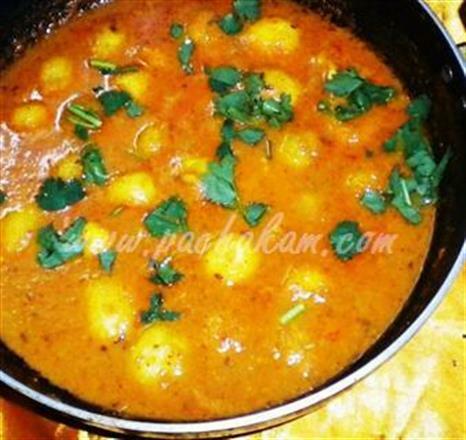 When the masala mix boils well, put the boiled potatoes into the frying pan and allow to boil for further 10 minutes (adding some more water and salt, if necessary) and when the dish is cooked well, add some coriander leaves or curry leaves into it. 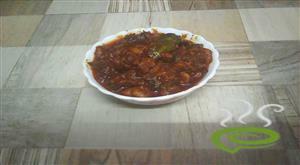 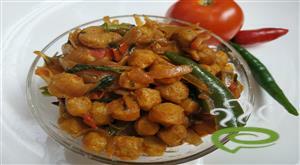 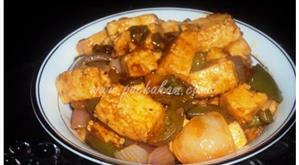 The delicious dum aaloo masala dish is ready. 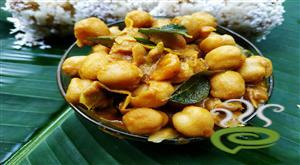 Dum aaloo masala can be served with chappathi, poori, boiled rice, dosa, parotta etc and the small potatoes look like eggs.